I had a very early morning start at Spurn yesterday. I was in the hide at Kilnsea Wetlands for just after half past five. The mist was heavy and I could only just make out the avocets only a few metres away. the air was full of birdsong, mostly skylarks but interspersed with any number of others all joining in on a fantastic dawn chorus. As the sun rose the light improved and it made way for some interesting photo opportunities , the obliging avocets were also a help. Soon after the sun rose it became quite harsh so I made my way out of the hide and headed for Sammy’s Point. There had been a few decent birds reported here recently so hopes were high. 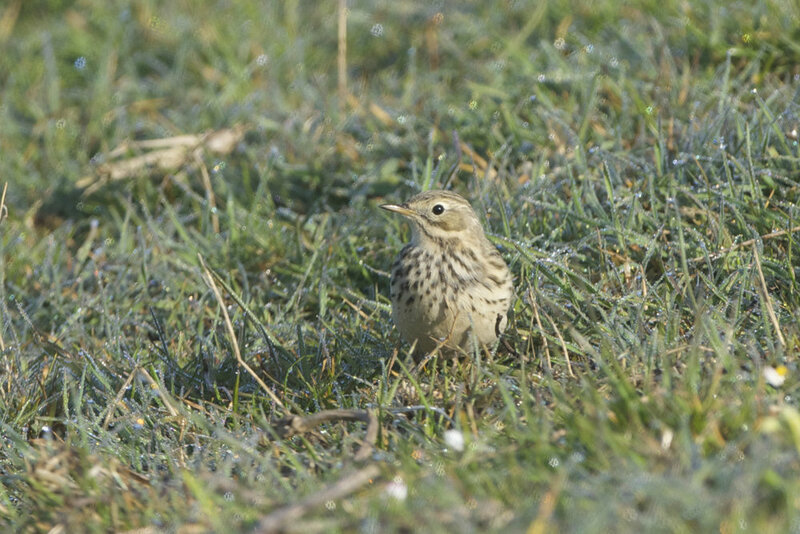 There was still a fair amount of mist around and a small group of thrushes flew up as I took up my position. It didnt take long for the thrushes to fly back down and there was a nice mix, blackbirds,redwing song thrush and a couple of smart ring ouzel. I could hear the chakking of squabbling wheatears and then the call of the yellow wagtail one of my favourite birds. Firstly there was a single male then he was joined by a very smart looking female. The white supercillium was striking-it was the day before’s female blue-headed wagtail. The early morning dew added to the scene ad it made for great photography. A marsh Harrier headed south, curlews headed out east and whimbrel were calling over the humber. As the sun rose further activity died down but a hunting short-eared owl was nice to see. The radion crackled with the news that 4 arctic skuas were heading out of the Humber and I managed to get distant views through the haze. The last bird of the day was a cuckoo callling at the last paddock-a rather fitting end to the most Springlike of days at the UK’s premier wildlife watching hotspot.